TAOTAO Bull 150cc ATV - WWW.BIKE.CC from Bike.cc on Vimeo. Ride in Winter? No Problem! If you mess with the Bull you get the horns. 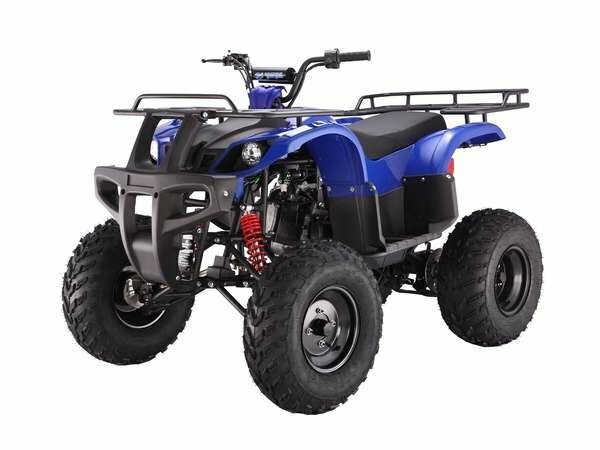 This is a full sized quad suitable for adults and teens. It does still have a governor to limit the throttle if you choose. 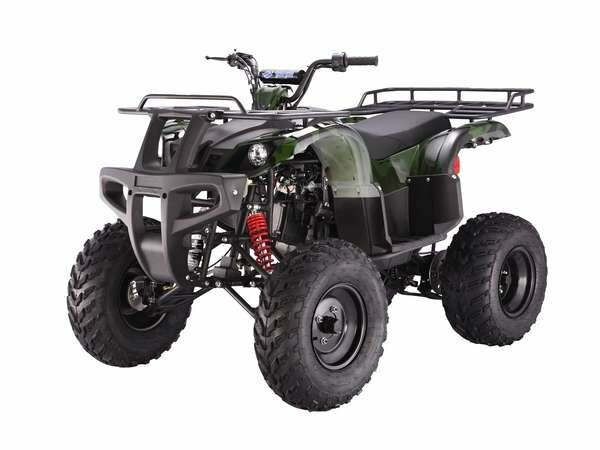 This quad is a utility model that can pack the punch of up to 55 MPH. Great for trail riding and mudding. This is a fully automatic machine with the luxury of forward neutral and reverse in case you get into sticky situations. Comes with a front and rear racks great for coolers, tents and whatever you need to make the most of your outdoor experience.